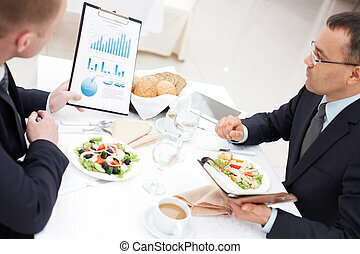 Business lunch. 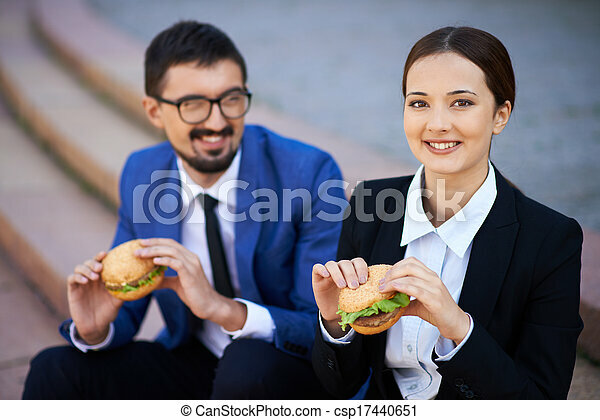 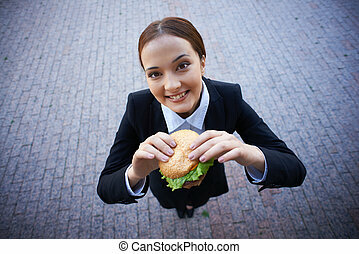 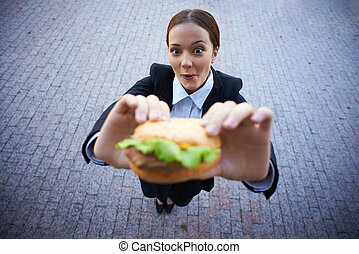 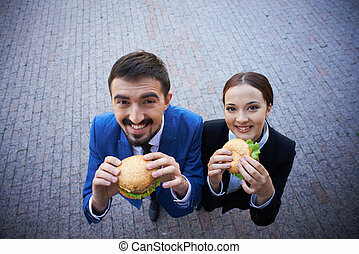 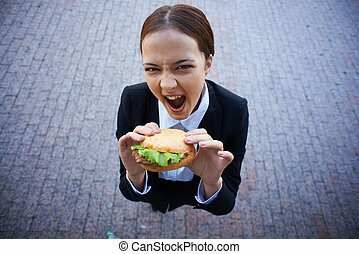 Businesswoman and her colleague eating sandwiches outside. 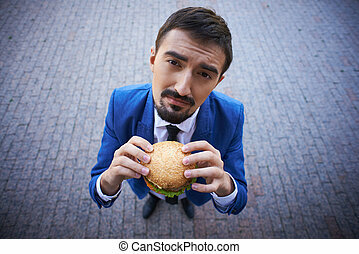 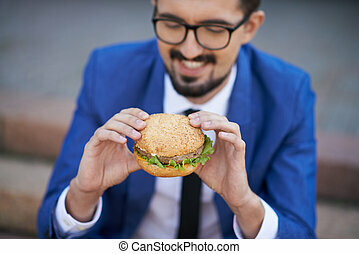 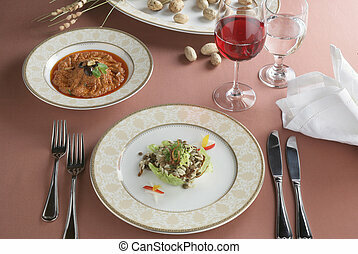 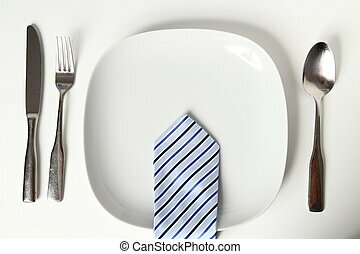 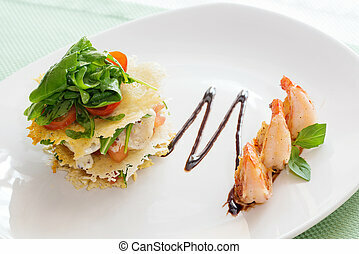 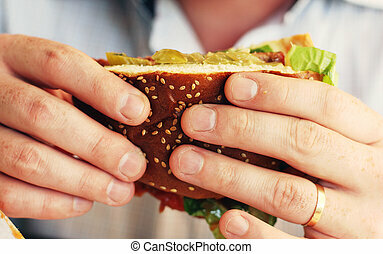 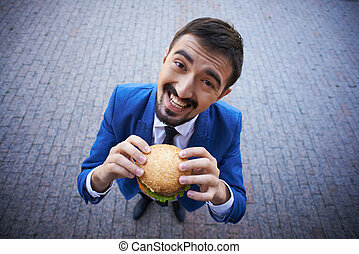 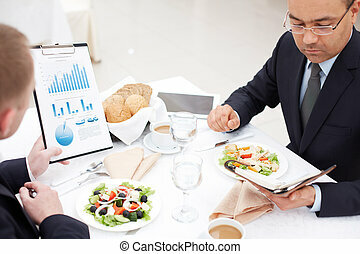 Food being eaten at a business lunch. 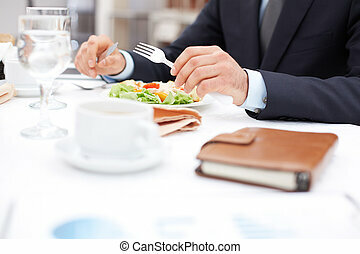 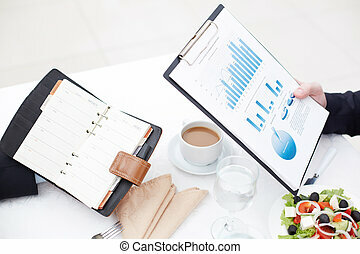 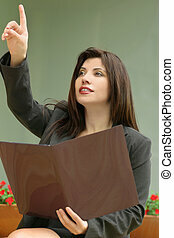 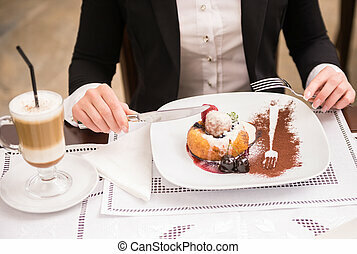 Confident woman in suit on business lunch. 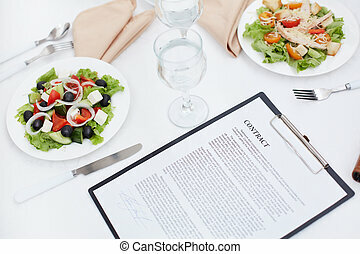 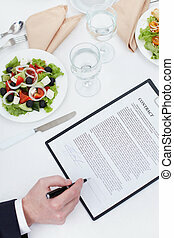 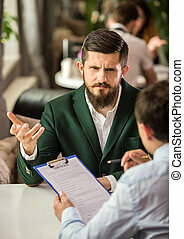 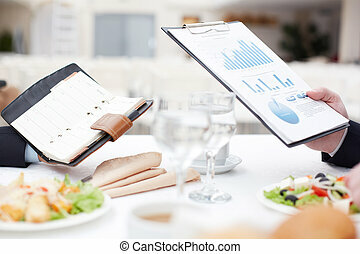 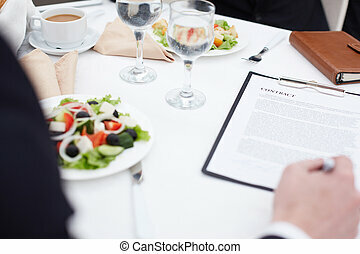 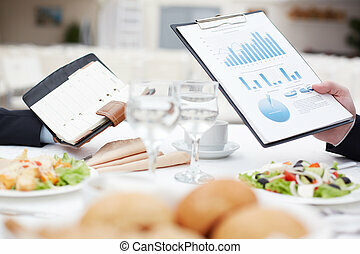 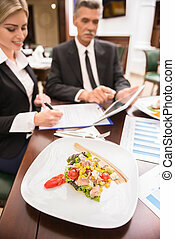 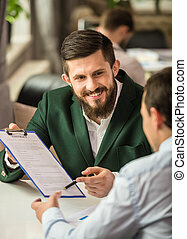 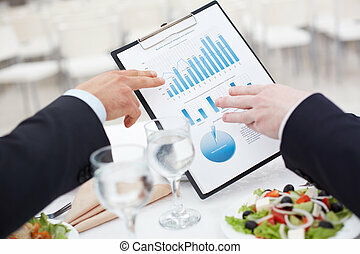 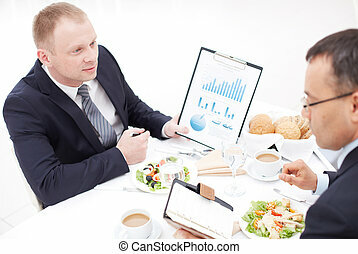 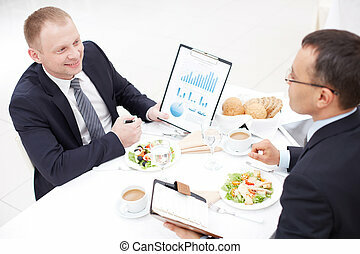 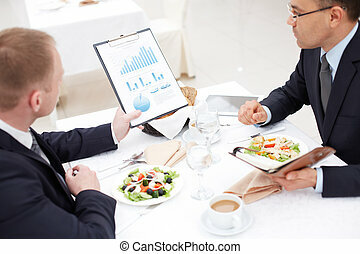 Two confident businessmen discuss document at business lunch. 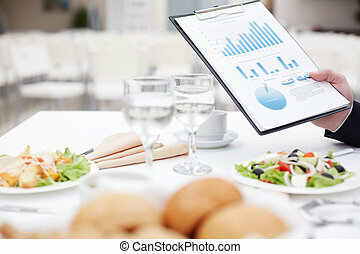 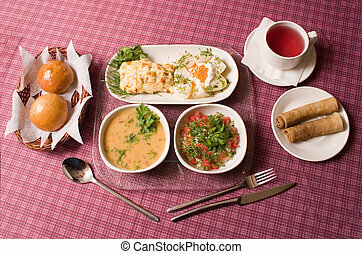 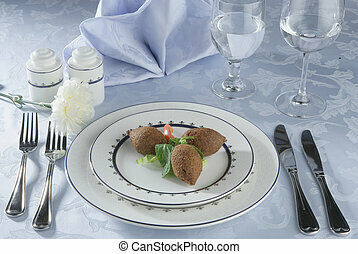 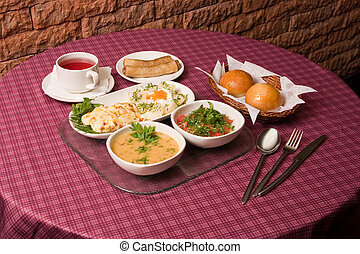 arranged table with snacks ready for guests business lunch. 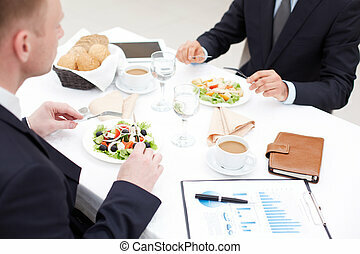 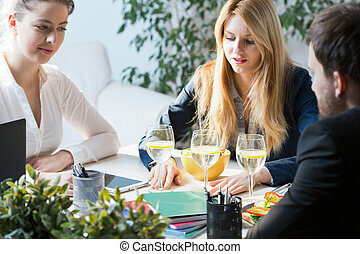 Elegant business people working on project during business lunch.